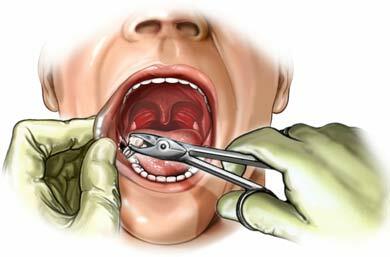 Extracting a tooth isn’t a simple act of just holding the forceps and pulling the tooth out. There’s a lot more things involved, which includes the pre-treatment medication to the post-extraction care and check-up, and thus it involves a lot of procedure. For many, it’s a big thing and they are happy with the costs charged by the dentists but many others feel that the cost for tooth extraction is quite high. Simple Tooth Extraction Cost: The cost of extracting a single tooth with a simple procedure, where there is no surgical involvement and the tooth is well erupted, is around $75 to $150, and this depends on the severity where the tooth is broken or is moving in its place. It again depends whether you getting the extraction done with a specialist or the general dentist. Surgical Tooth Extraction Cost: The surgical extraction includes those teeth which are embedded within the gums, or are decayed to a extent where the normal extraction is not possible. Here the surgical procedure includes the incision of the gum area to open the socket and get access to the tooth, to extract it without causing any further problem. This type of surgical extraction costs $200 to $400 based on the condition. Some times, this can be so severe that the bone lying above it has to be drilled before the tooth is extracted, and for such Open extractions, the cost could go between $400 and $600. Extraction of Wisdom Tooth Extraction: Wisdom teeth are the hardest to extract, as they are at the most complicated places in the back of the mouth. The cost of extraction of these wisdom teeth is no where less than $300 at most of the Dental offices in the USA. But sometimes, this can be changed even $600 because the extraction of the Wisdom tooth is mostly surgical and that involves the trimming of the bone. Nothing in the above said cost is fixed, and it can keep changing but these are the rough and approximate costs. And these are the costs when the extraction is done with the patient being administered the Local Anesthesia. The cost for treatment would be much higher when they are being treated under general anesthesia for some reasons. If at all you have got your tooth extracted, make sure you follow these post-extraction instructions to keep the socket healthy and healing well.